Our customer's beloved Mello, Sparkling or Still! 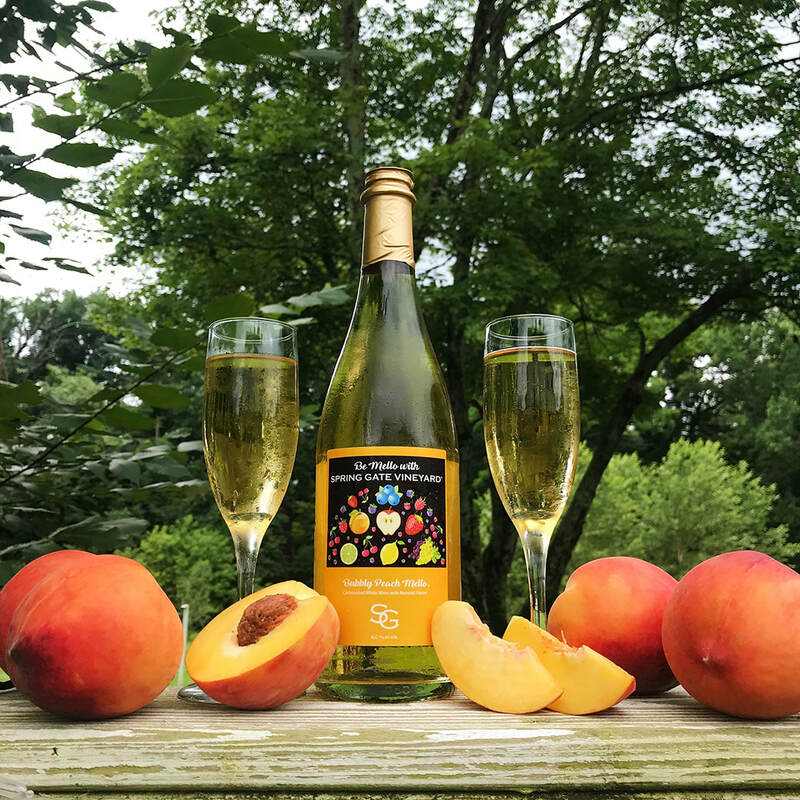 An Eastern US twist on Prosecco - a drink that allows the sunshine to dance in the vineyard and field; this wine is created from a blend of Niagara wine and peaches. Sweet and medium bodied. ​BUBBLY PEACH MELLO NOW AVAILABLE IN 375mL CANS You may purchase these by the single can or in 4-can packs! 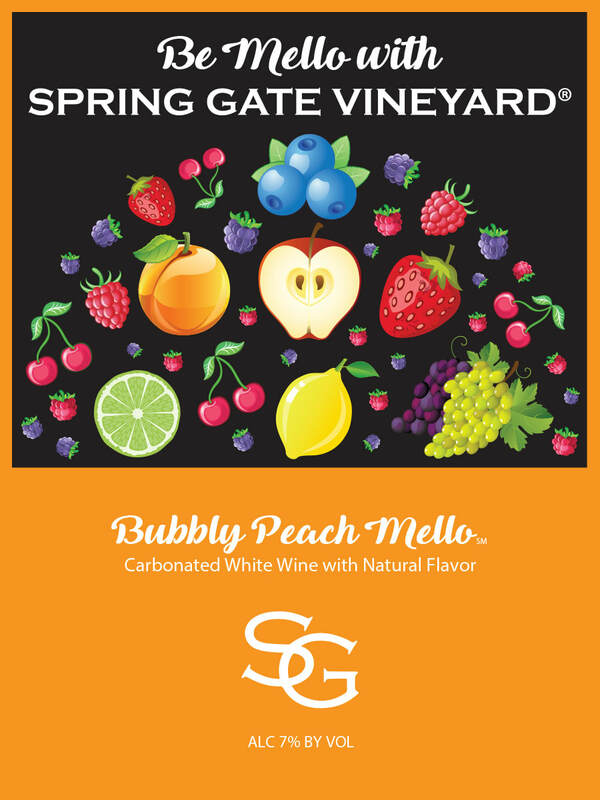 Spring Gate Mellos are naturally fermented using either grape wine juice of carefully selected varieties, or raw, unpasteurized juice of fresh-pressed Pennsylvania Apples including our favorite old cultivars. Our unique fermentation, select wine yeasts and aging, stay true to the fruit, authentic flavors and tradition only present in fresh-pressed Eastern wine.